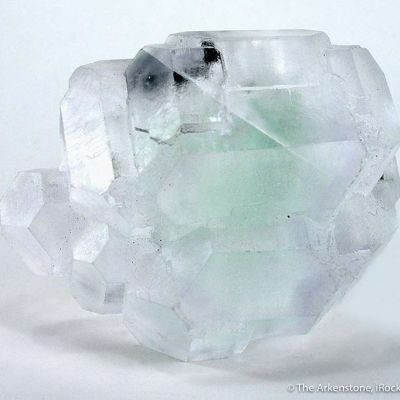 A superb small cabinet piece from the 2006 finds here, one which I sold at the time. 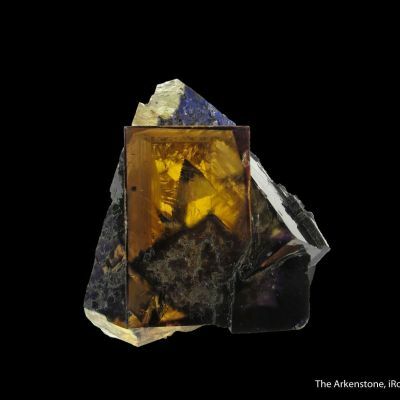 The specimen is notable for its display qualities, and the rich contrasting association to the jet black sphalerite. 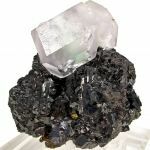 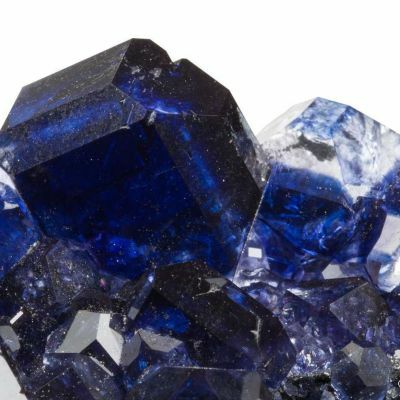 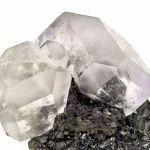 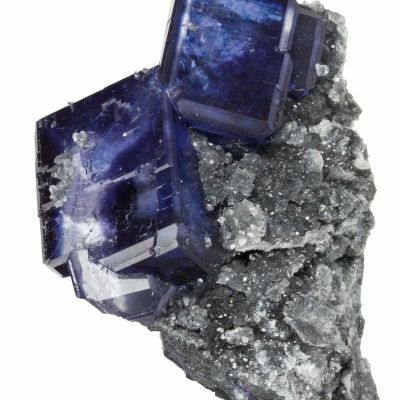 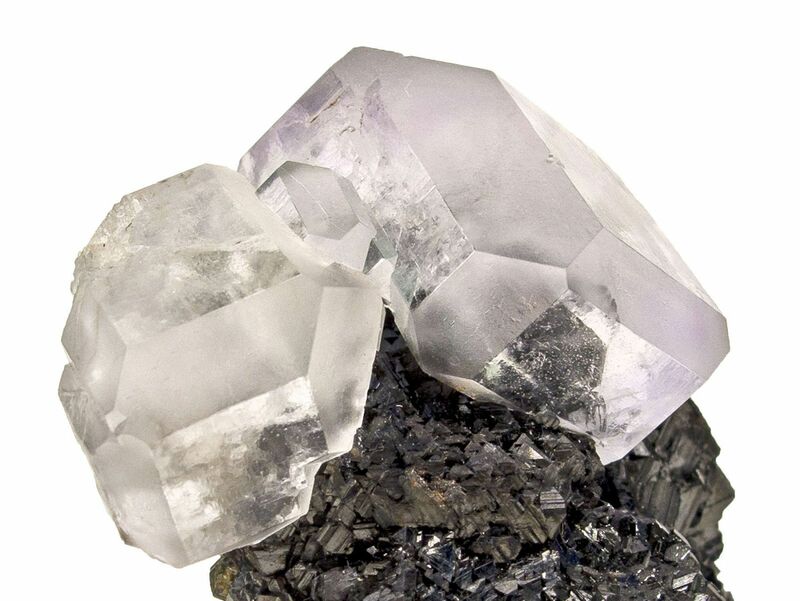 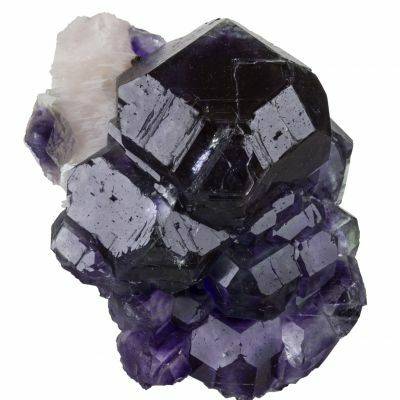 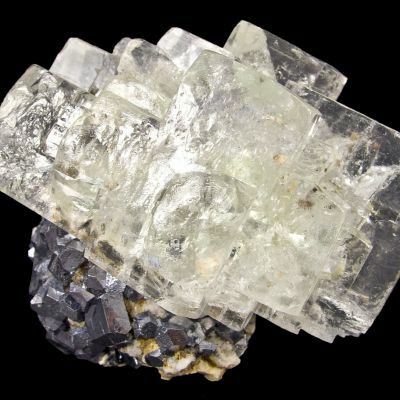 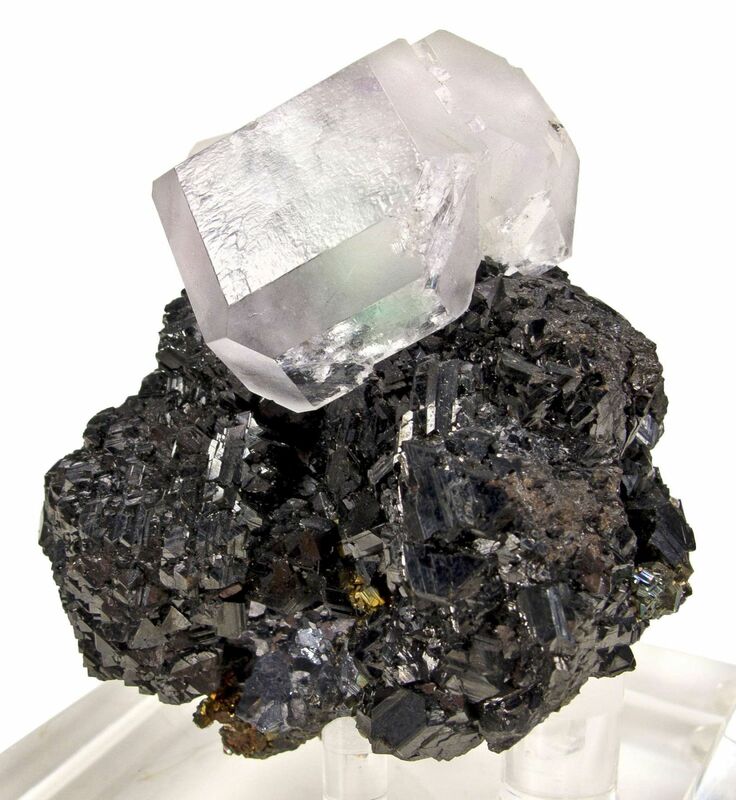 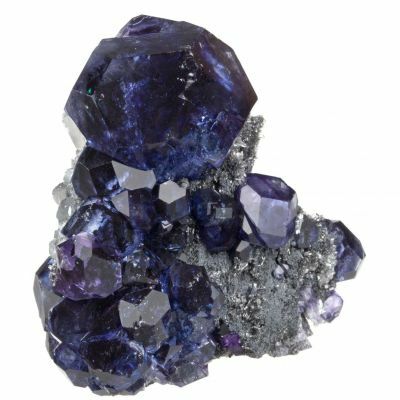 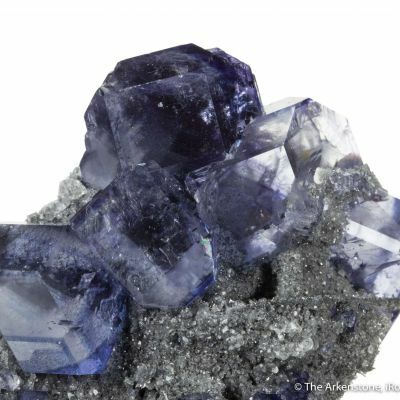 Three crystals of lustrous and gemmy, nearly colorless fluorite to 3 cm across, are aesthetically perched high on a matrix of intergrown clusters of lustrous, metallic sphalerite (along with minor galena and chalcopyrite). 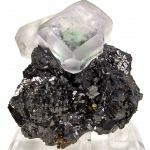 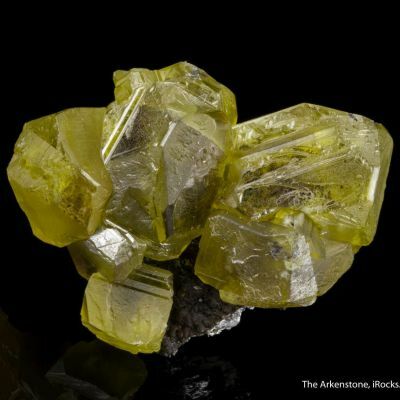 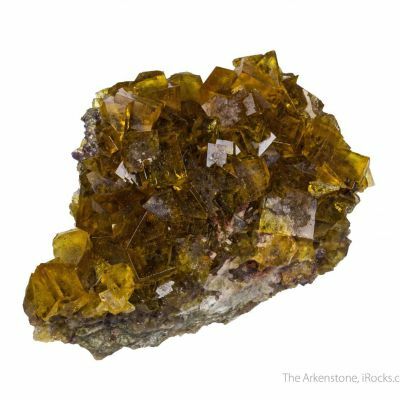 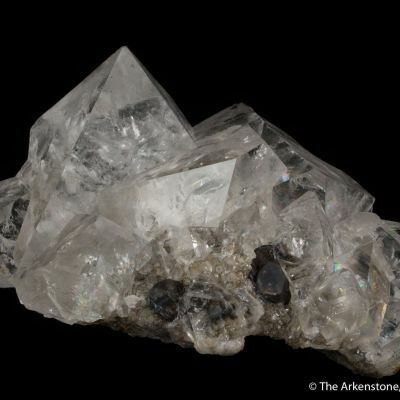 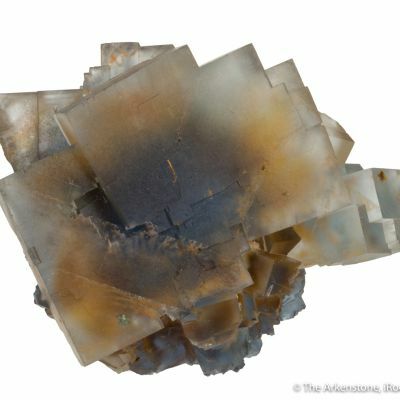 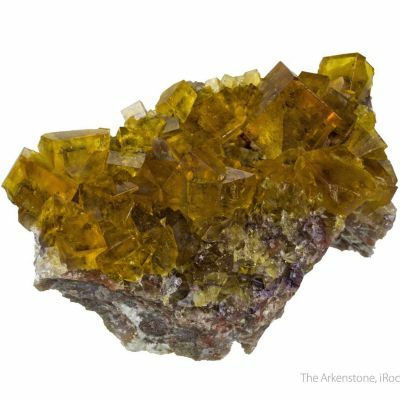 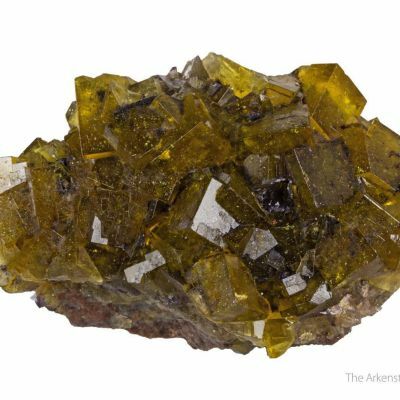 The sphalerite is complexly crystallized form smaller crystals, and so throws off a lot of reflections in person, complementing the transparent fluorites above - through which the light just flies on through. 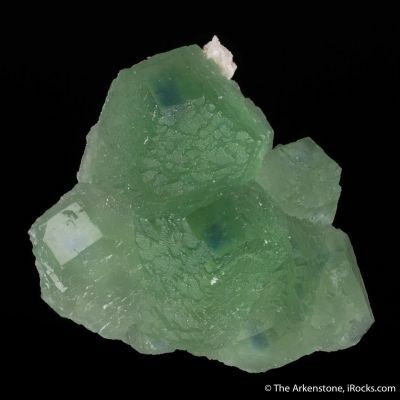 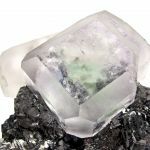 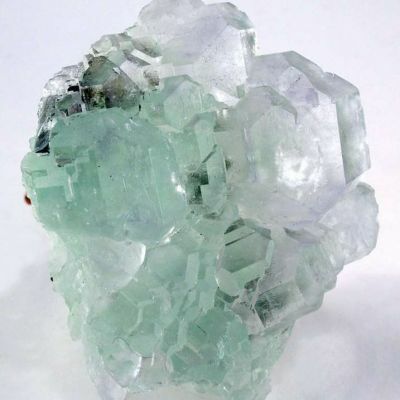 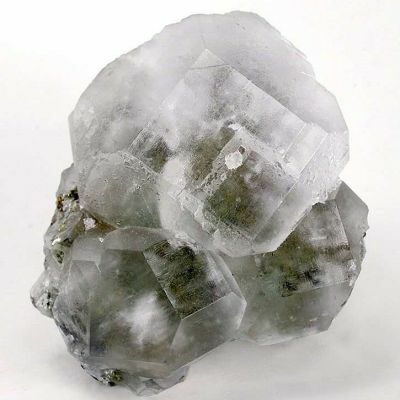 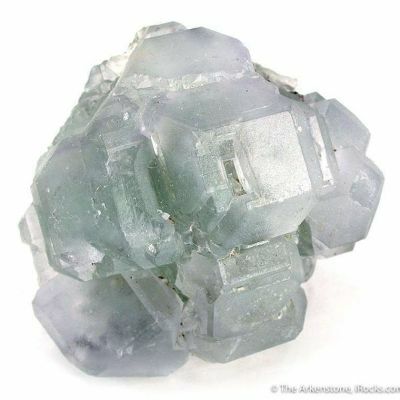 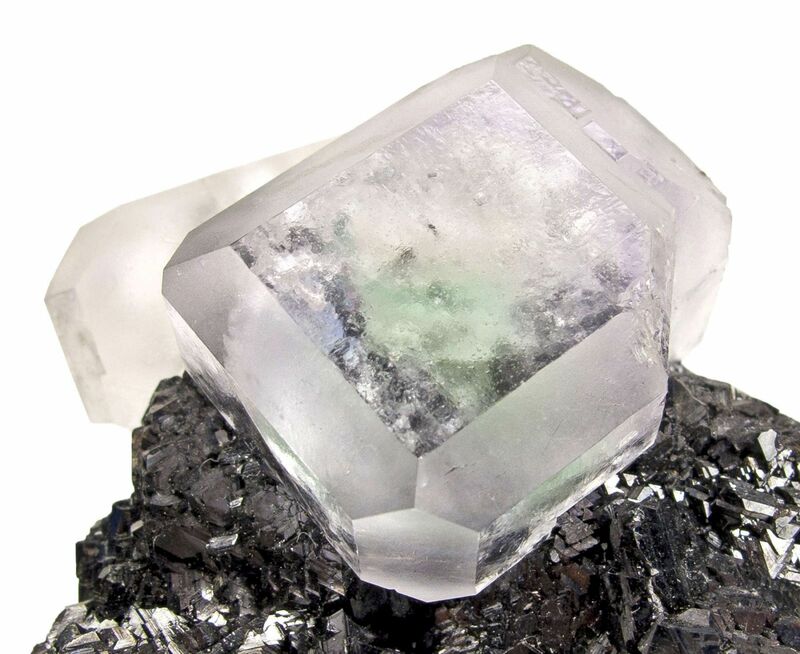 The largest fluorite crystal exhibits a green color center although their "bodies" are colorless. 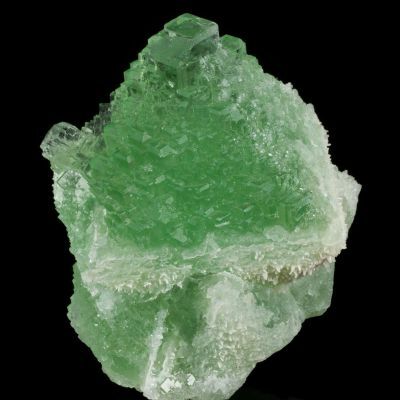 Although not in the Heck collection of Mexican minerals as are most others in this update, this piece is from the Stoudt collection which I also recently acquired, and so fit well within the larger update. 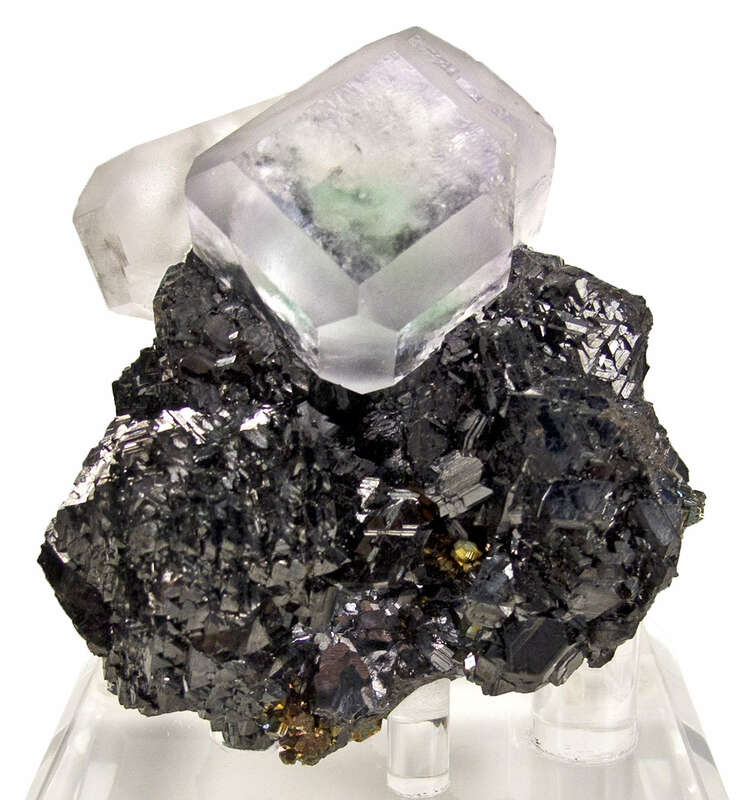 Out of hundreds and hundreds of pieces I handled (i bought entire lots direct at the mine, in this time), this was one of my favorites of the lot and I recommended it to one of my closest friends and collectors at the time, because of that reason. 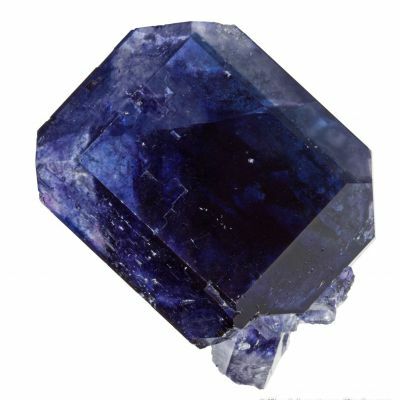 I stand by it today...such a quality has not been found since, and for my personal taste this remains one of the very finest of the find in its size range.